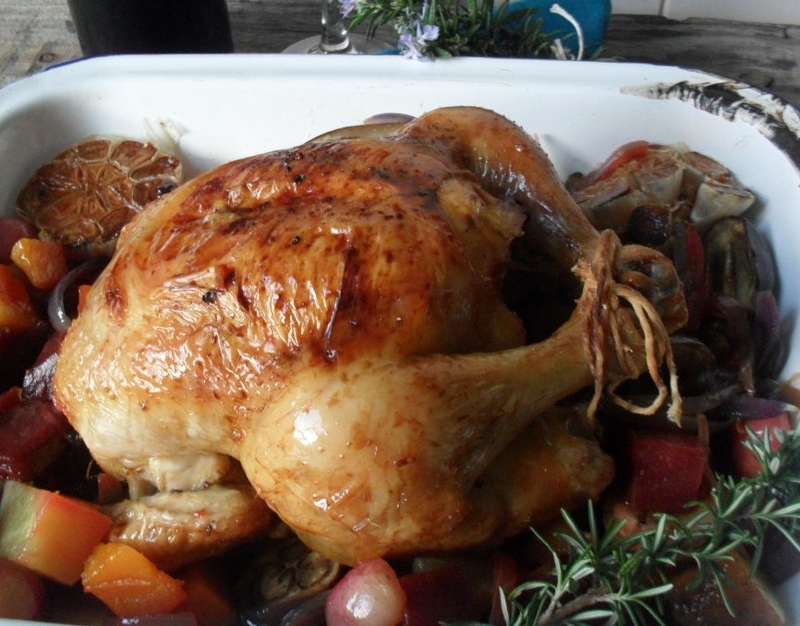 One of my readers recently asked me why there are no roasted chicken recipes on my blog. 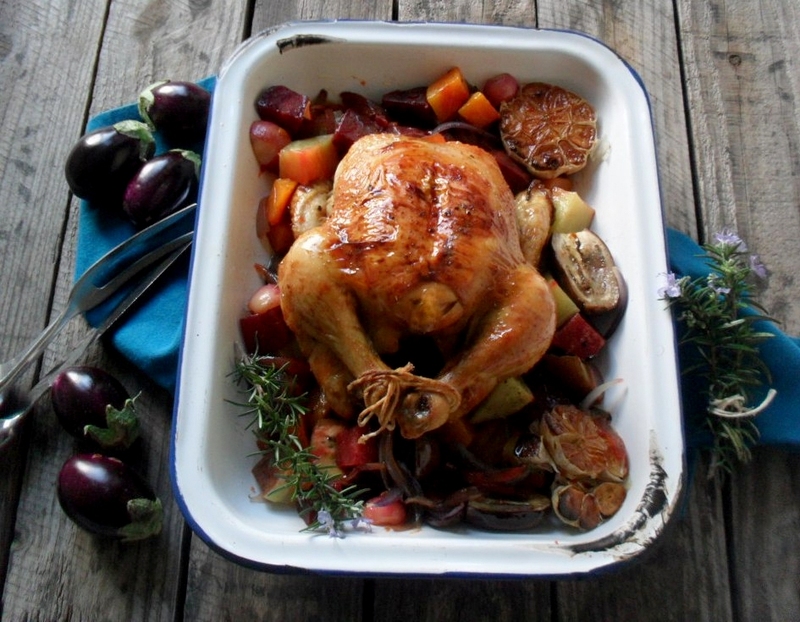 I was stunned – no roasted chicken recipes on PinkPolkDotFood? I definitely recall a pretty good roasted chicken from when I participated in the Freshly blogged competition, but the recipe was nowhere to be found on my blog. I will repost the recipe which I developed for Freshly blogged soon, but in the mean time I am posting this old favourite of mine for roasted balsamic glazed chicken with crimson vegetables. This dish is a great one-pot dish. I use mainly crimson (red) vegetables, but you can add any vegetables that are suitable for roasting. 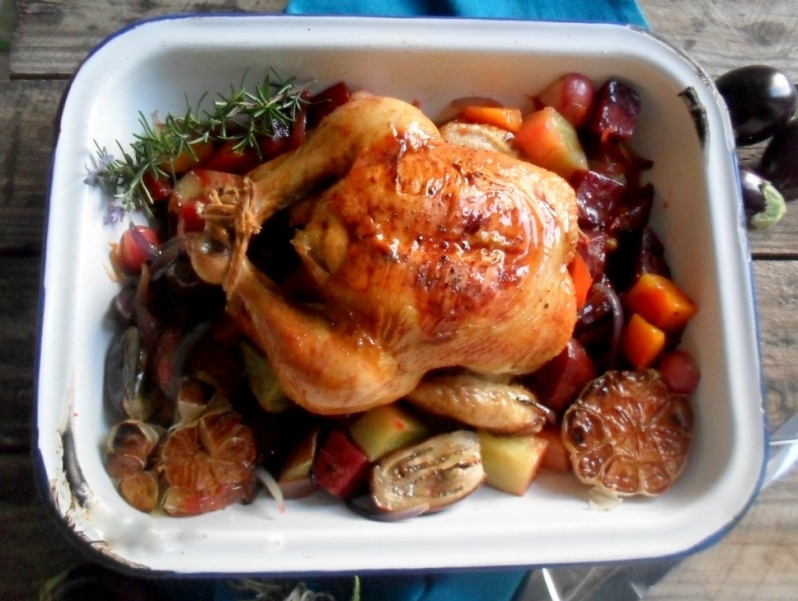 The balsamic glaze provides wonderful flavour and a beautiful colour to the roast chicken. You will make this dish over and over again! Having a cooked roast chicken in the refrigerator is essential for me. It can be a life saver on days that everything goes wrong and when there is no time to prepare dinner. It can quickly be transformed into a pasta sauce or be used in a salad. 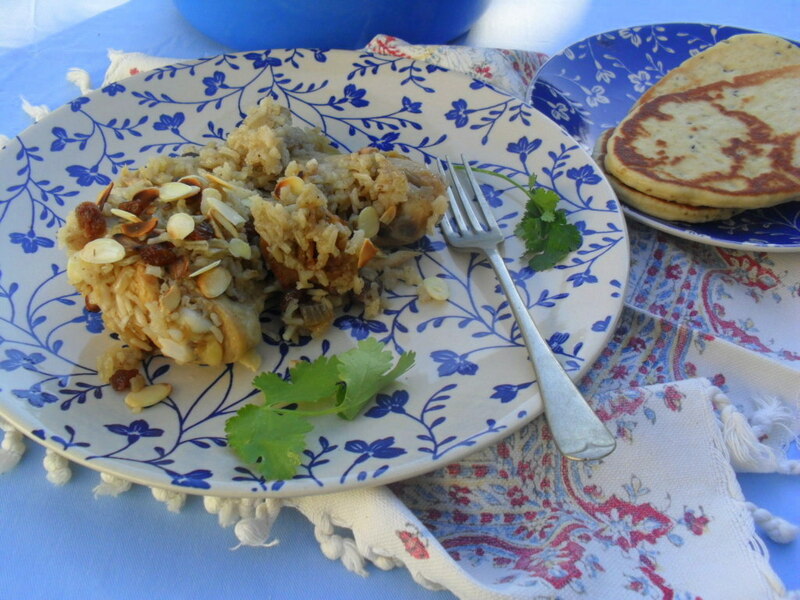 It is also one of my family’s favourite sandwich fillings. Place the balsamic vinegar, honey and 1 rosemary sprig in a saucepan. Bring to a boil on the stove top, reduce heat and simmer for 15 minutes. Remove from the stove. Place 2 of the rosemary sprigs and a quarter of the chopped red onion in the chicken’s cavity. Brush the balsamic glaze all over the chicken and season with salt and black pepper. Place in a roasting dish and cover. Roast for 20 minutes. Reduce the oven temperature to 180⁰C. Add all the vegetables and the garlic to the roasting dish with the remaining rosemary. Season the vegetables with salt and pepper and drizzle with the olive oil. Cover and return to the oven and roast for an hour. Remove from the oven and rest for 10 minutes before carving the chicken. 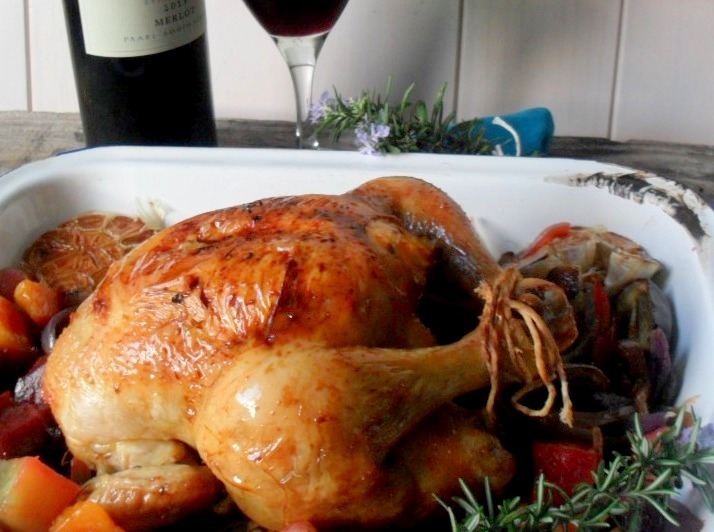 Serve the chicken with the roasted garlic and vegetables. Use a ready bought balsamic glaze and ready to roast prepared vegetables to save time. Love all these robust flavours together Zirkie and especially one tray oven roasts that make life simpler and quicker!